alone or with your team. 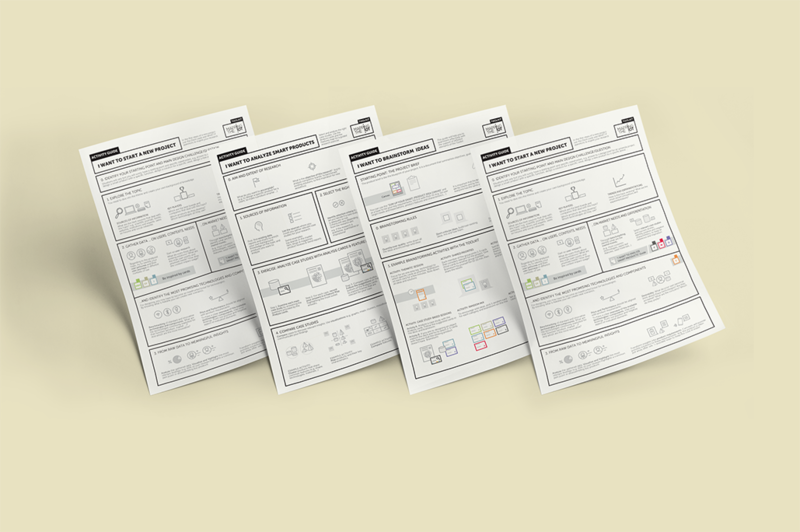 Developing smart connected products isn’t a simple task, and we believe that before generating ideas and sketching solutions, designers should focus on problem framing. The MappingTheIoT Toolkit is an analog card-based kit that wants to support designers in developing successful smart products. 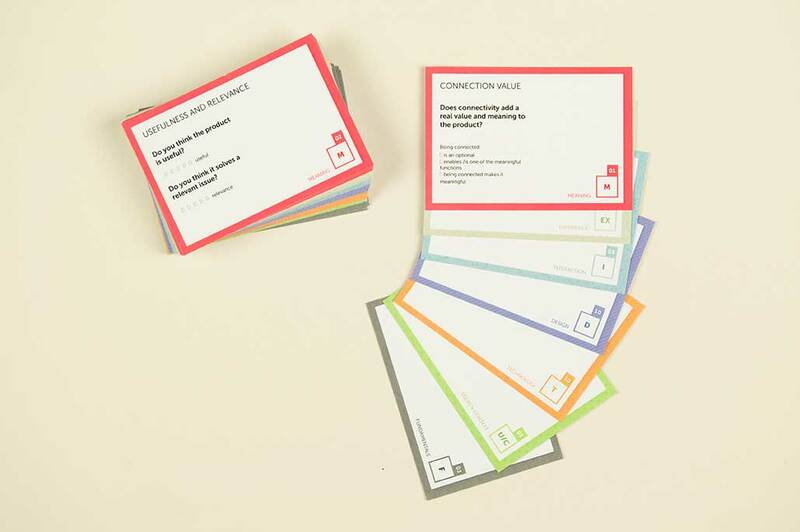 The kit offers a framework of relevant topics and specific questions. It highlights the key aspects and features that smart devices should possess and that should be kept in mind while designing for the Internet of Things. 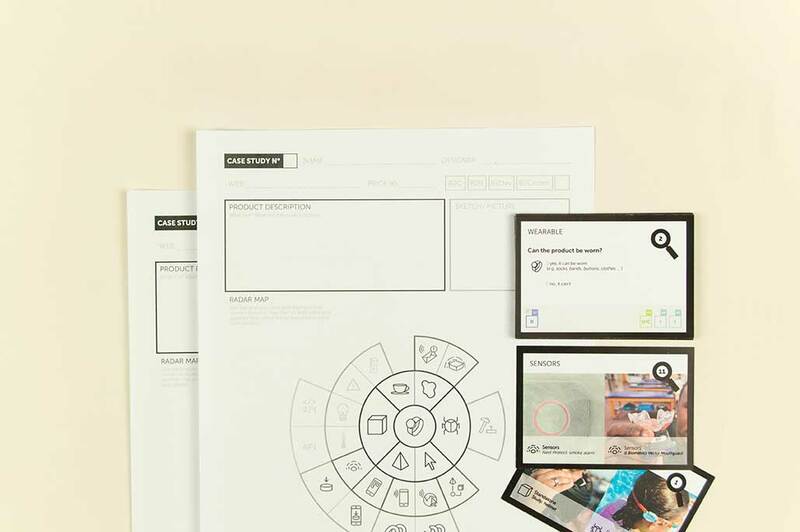 The elements of the kit may be used during different phases of the design process, supporting activities such as research, user studies, benchmarking, brainstorming, interaction design, UX definition, CMF, project development, and evaluation. 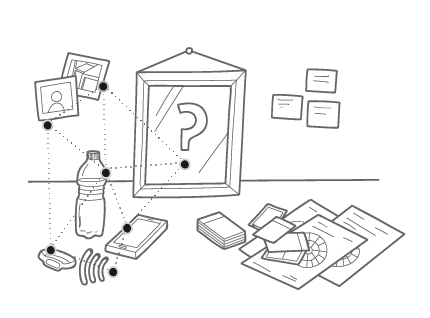 The MappingTheIoT toolkit is made up of three elements that can be used freely or for structured activities, alone or with a team. Is licensed under a Creative Commons License and is ready to be downloaded and printed. Interested in using the Toolkit with your organisation? Ask us about our design workshops! © 2019 Mapping The IoT Toolkit.